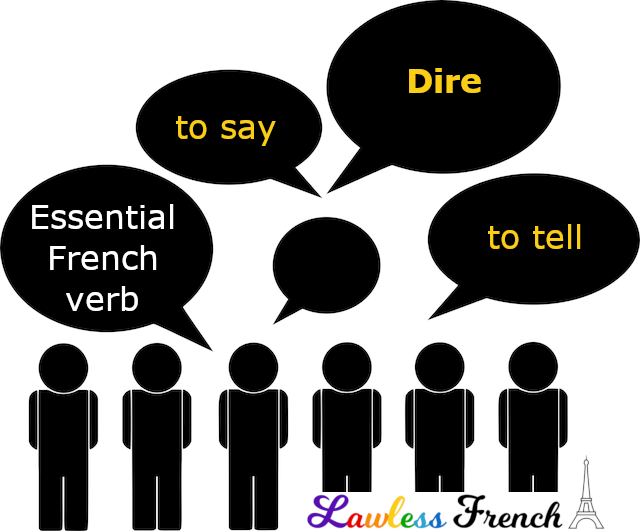 Dire is one of the most common and useful French verbs and has irregular conjugations. Dire literally means "to say" or "to tell," and is also found in many idiomatic expressions. J’ai dit « bonjour » trois fois. I said "hello" three times. Elle a quelque chose à dire. She has something to say. Je te dis non ! I’m telling you no! Dites-nous ce qui s’est passé. Tell us what happened. Elle dit que nous pouvons commencer. She says (that) we can start. A-t-il dit qu’il allait pleuvoir ? Did he say (that) it was going to rain? Que dites-vous de cette proposition ? What do you think about this proposal? Qu’est-ce que tu dis de mon chapeau ? How do you like my hat? Ça te dit de prendre un café ? Do you feel like having a coffee? Ça vous dit de sortir ? Do you feel like going out? Non, ça ne me dit pas. No, I don’t feel like it. Rien ne me dit en ce moment. I don’t feel ilke doing anything right now. Se dire can be reflexive, reciprocal, or passive. Il s’est dit de se tenir tranquille. He told himself to keep quiet. Elle se dit princesse. She claims to be a princess. Nous nous disons tout. We tell each other everything. Elles se sont dit adieu. They said farewell to each other. Ça ne se dit pas. That isn’t said. Comment ça se dit en italien ? How is that said in Italian? comment dit-on … ? – how do you say … ? 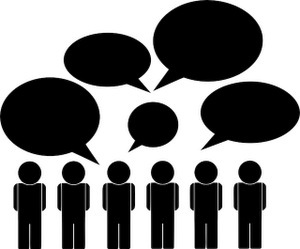 vouloir dire – to mean; que veut dire … ? – what does … mean? * Difference between "say" and "tell"